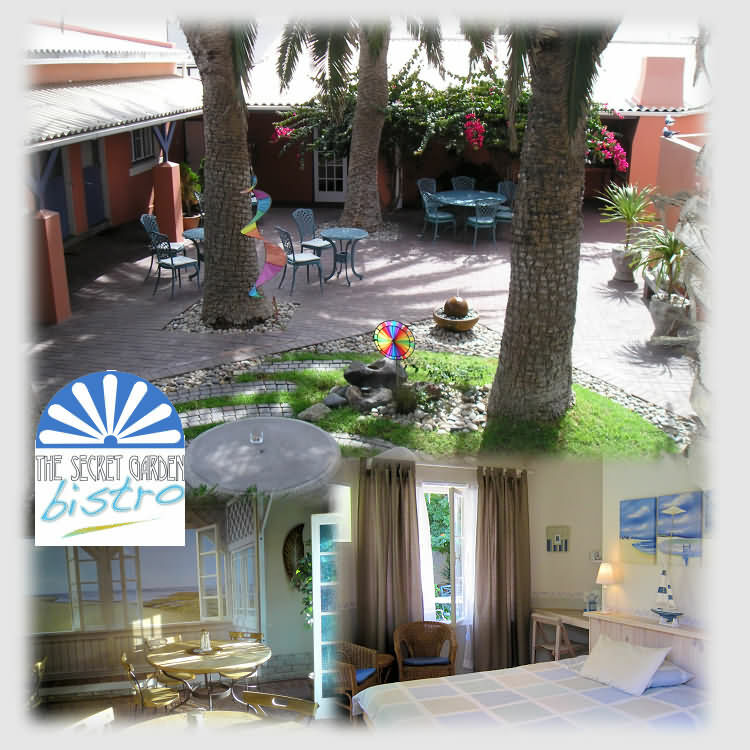 The Secret Garden Guesthouse in Swakopmund, Namibia's Premier Holiday & Tourist Destination on the famous 'Skeleton Coast' offers you all the comforts of your own home at reasonable prices. All our 6 double en-suite bedrooms and 3 'Comfort' double en-suite bedrooms face onto a secluded courtyard. There are also 2 Luxury suites with private balcony. Breakfast is included and we have Bar-B-que facilities. New to Secret Garden is our Bistro where you can enjoy "Meal of the Day" and delicious Pizzas. Situated in the heart of "Old Swakopmund" you can explore the town and amenities on foot. We have a secure parking area. Children and dogs are welcome. 3 "Comfort" en-suite bedrooms in private garden. A surcharge is applicable on a stay of one night only.